A Notebook PC with a 2 pin Figure 8 power connection. A 240 Volt power socket. 1 x 2 Pin Female figure 8 connector. 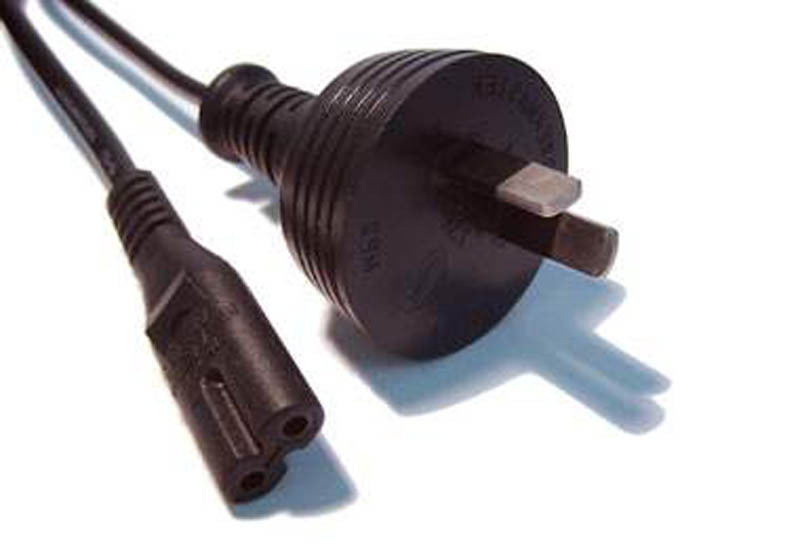 1 x 240 Volt 2 pin wall plug. Cable is 24AWG and black in colour.